Product Description: Medium-bodied with a smooth quality, Earth has mild sweetness with subtle hints of a ripe plum. Its bronze hue in a cup is accompanied by a hay-like aroma mixed with light notes of camomile. 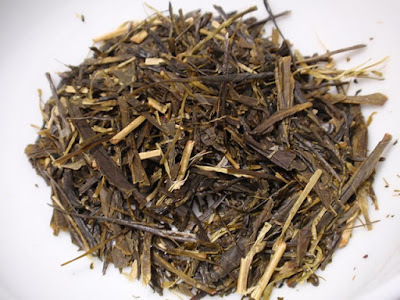 Grown on older tea trees of Zairai cultivar and harvested in spring, Earth is lighter than the other senchas. 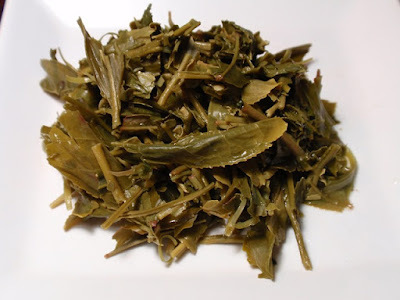 The dry leaf aroma is light, sweet, green, and woody. The golden infusion has a buttery, peppery, nutty aroma with notes of cooked edamame. The taste is moderately astringent, green, savory, and nutty. 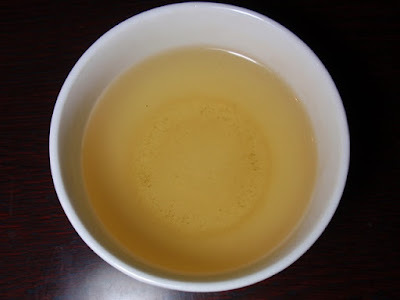 While it was enjoyable after being steeped for 2 minutes, a shorter steeping time did bring out more savory qualities.